Grilled Vegetable Soup - a quick, healthy & delicious vegetarian soup! Grilled Vegetable Soup. A quick, healthy and delicious blended soup featuring the best of summer’s vegetable bounty. Today’s recipe for Grilled Vegetable Soup is sheer simplicity itself and celebrates the summer with the best of whatever is in season. 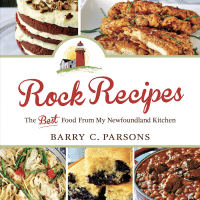 Here I’ve used asparagus, corn, tomatoes, zucchini, bell peppers and onions. Other vegetables that are in season are easily substituted, like broccoli. cauliflower, okra, etc. Although Spouse is still the undisputed “Soup Queen” in our house, I’ve always been partial to great blended vegetable soups myself, especially when the best of the summer is available. Our 20 + year old immersion blender had seen more than it’s share of such soups from sweet potato to creamy corn chowder. Sadly, it had recently given up the ghost and would have to be replaced. 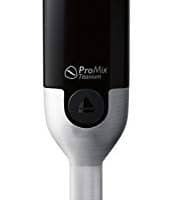 Then, a few weeks later, by happy coincidence Philips contacted me and asked if I’d like to try their new Avance Collection ProMix Titanium Hand Blender and develop a couple of recipes for it here on Rock Recipes. Well the answer of course was yes! …and I was very glad I did. Both Spouse and I have really enjoyed using it over the last couple of weeks. It is light years ahead of the old immersion blender we had for a number of reasons. 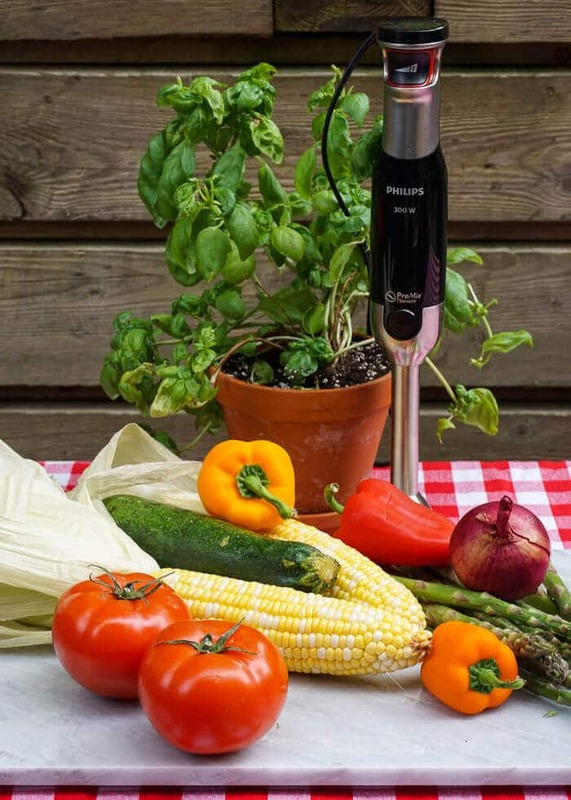 First, it’s not just an immersion blender for starters. That’s just one of the attachments! The blender has several attachments available, including the immersion blender, whisk, double mixer, multi chopper and even a potato masher. All of the attachments are easily attached and are easily detached at the press of a button for easy cleaning. That, of course, was one of the biggest issues with our old immersion blender. We would have to immerse the bottom section into soapy water while it was turned on, to whiz out the food particles…and you were never too sure if the cleaning was thorough enough. Not so here. Just detach and clean as with any other cooking utensil. This hand blender is also far more efficient and powerful than our last blender. The ProMix blending technology and triangular shape handles the job more quickly, and the 300 watts of power speeds it up even more. 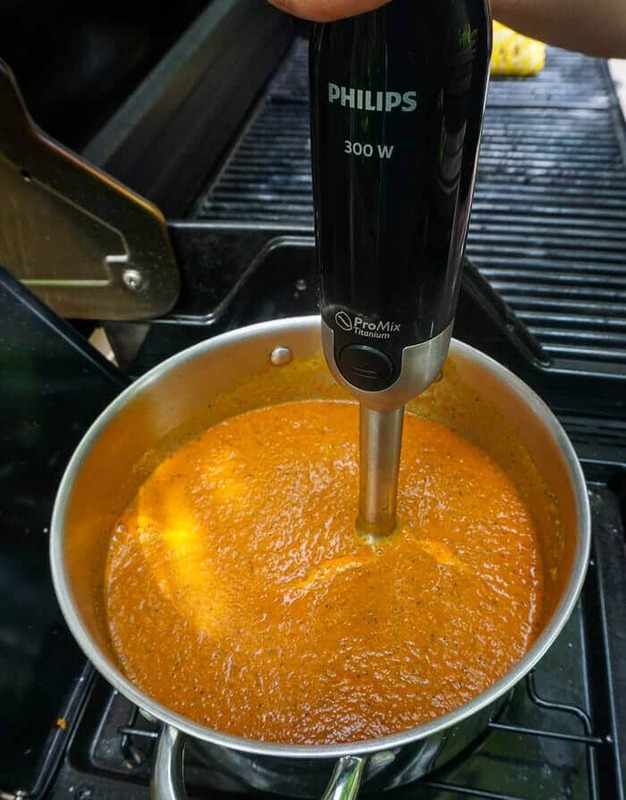 It blended this entire pot of grilled vegetable soup smoothly in just a minute or so with no splattering because the intuitive SpeedTouch technology is so easy to use. It automatically sets the right speed for the job at hand. For its power, versatility and ease of cleaning, we think the Philips ProMix Titanium Hand Blender is a real winner. Just like the delicious soup it helped to prepare! To present the soup we decided not to blend the grilled corn, although you could very easily do so if you chose. Instead we added it at the end as a sort of garnish that would provide sweet, smoky pops of flavour and textural difference. We also added some freshly chopped basil from the garden to be stirred into each bowl. Tender, fresh herbs like basil are best added at the end of cooking to preserve their fresh flavour. At first thought you may not think of soups as a summer staple. I mean, who wants to be tied to the kitchen stove while the weather is so great outside? 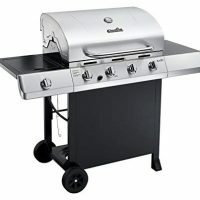 This soup is definitely the answer, especially if your outdoor grill has a side gas burner like mine. The vegetables went straight from the grill to the pot, and all on my outdoor patio in the dappled shade of the maple trees. Now that’s a real summer soup! Like this Grilled Vegetable Soup recipe? You’ll find many more delicious soup ideas in our Soups Category and lots more leftover ideas in our Leftover Recipes Category. 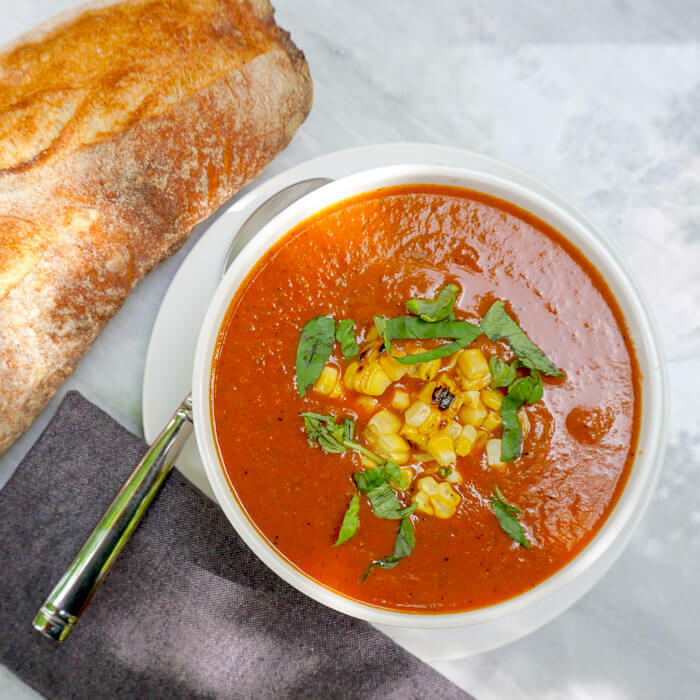 Grilled Vegetable Soup - a quick, healthy and delicious blended soup featuring the best of summer's vegetable bounty. 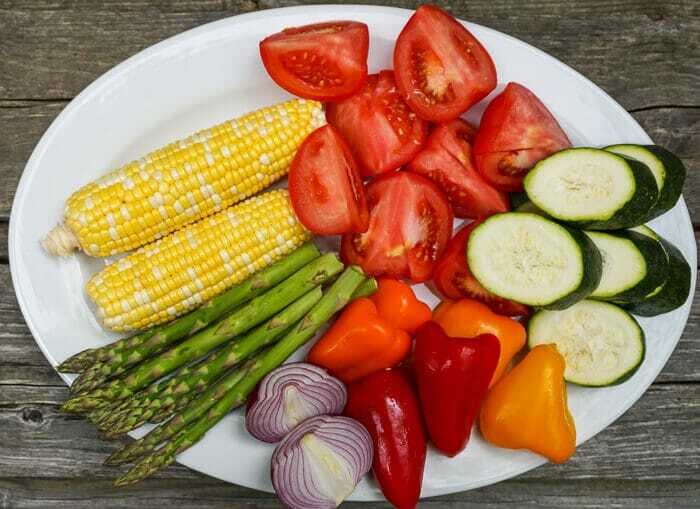 Grill the vegetables for only a few minutes on a grill that is preheated on high. The goal here is not to fully cook the firmer vegetables like the onions but to get good char marks on them, which will bring the delicious smoky flavour to the soup. Remove the charred vegetables from the grill and chop them into smaller pieces. Meanwhile heat the olive oil in a large saucepan or dutch oven over medium heat. Add the garlic and sauté for just a minute to soften the garlic but not brown it. Add the low sodium stock to the pot along with the chopped grilled vegetables, salt, pepper and paprika. Bring to a slow simmer for 15-20 minutes or until the vegetables are all fork tender. 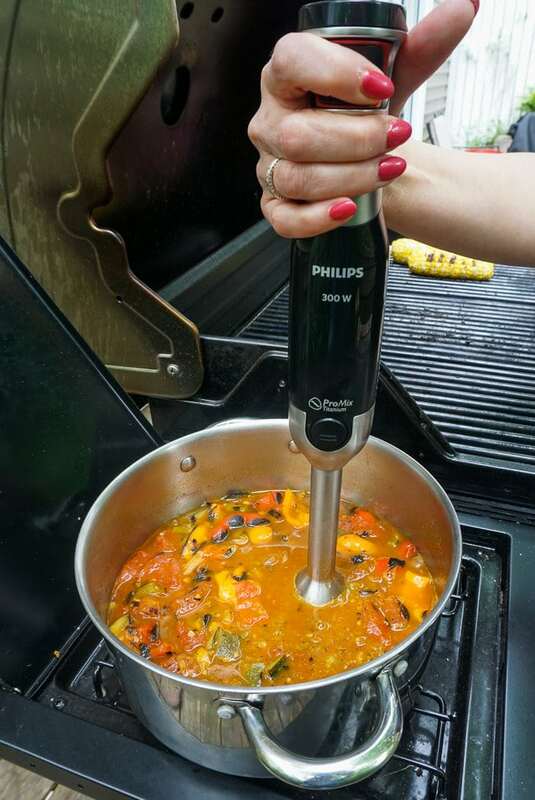 Use the Philips ProMix Titanium Hand Blender to thoroughly blend the soup until smooth. Serve with the garnish of grilled corn and fresh basil. In this version of the soup I've used asparagus, corn, tomatoes, zucchini, bell peppers and onions. Other vegetables that are in season are easily substituted, like broccoli. cauliflower, okra, etc. For a spicy kick to this soup try grilling a couple of jalapeño peppers with the vegetables but be sure to remove the seeds before adding them with the other roasted vegetables. For our review of the Philips Air Fryer click here. 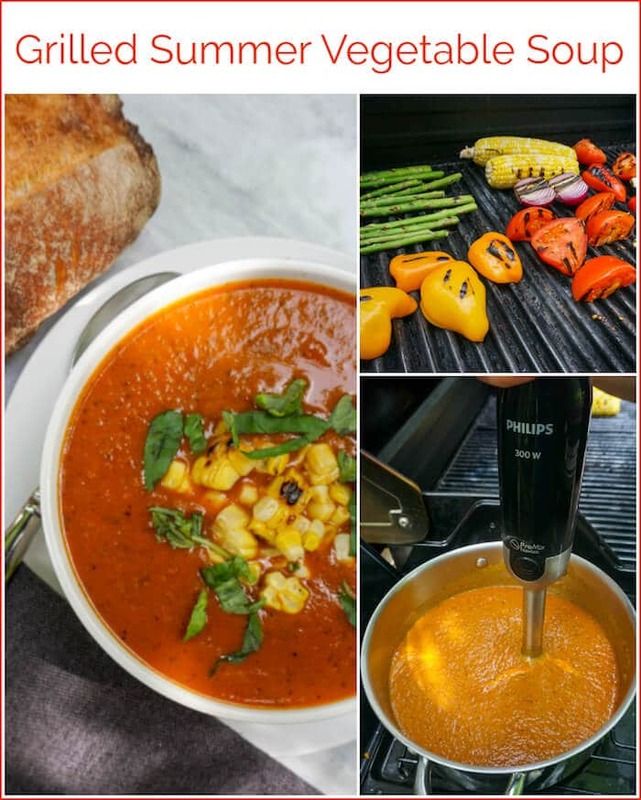 Rock Recipes is pleased to have Philips as sponsor for this post. Both product and compensation were provided for this review. The opinions expressed in this post are entirely my own. Recipe says add garlic and “sauce”. there is no sauce in ingredients. What does this refer to? Autocorrect typo, recipe is updated. This looks delicious. What quantity of each vegetable did you use? About half tomatoes for a good base and mixed the rest…but any combination should work.